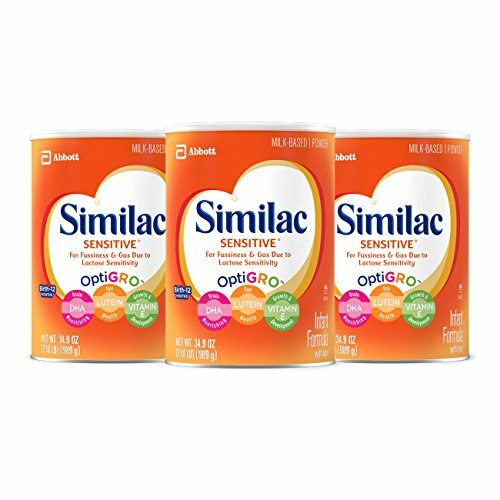 Similac Sensitive Infant Formula is an easy-to-digest, milk based formula designed for sensitive tummies. Our baby formula is a nutritionally complete formula designed for fussiness and gas due to lactose sensitivity and features OptiGRO, our exclusive blend of DHA, Lutein and Vitamin E to help support your baby's overall growth, brain, eye and immune system development. Please note this is not for infants with galactosemia.